Just some photos I took earlier in HDR. It's amazing. The pictures couldn't upload on here so here are the links to Wunderground where I uploaded my photos instead. You were actually able to see the rain drops falling through the rainbow. It was so vivid. Also there were several rainbows below the main one, and it's was like a ripple effect. Here's something that I took yesterday. 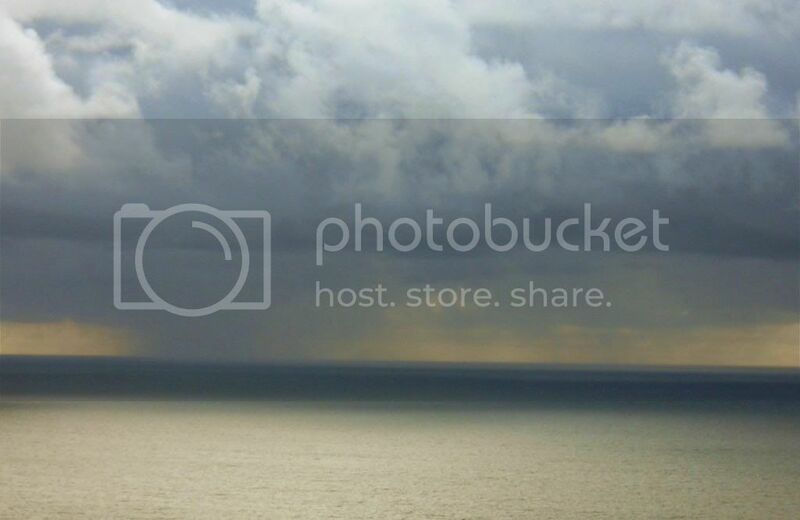 Just some distant rainstorm clouds off the coast of Oregon. This photo was taken from a scenic viewpoint right off Highway 101 somewhere between the towns of Manzanita and Cannon Beach. I took this picture on June 27, 2013 of cloud to ground lightning, which struck not too far from where I was standing. There were some pretty nasty thunderstorms that rolled through parts of eastern Washington, including where I was in the Grand Coulee area. I drove around the area and there were a lot downed trees. Here is a photo that I took of a downed tree and the damage it caused to a house in the town of Coulee Dam.